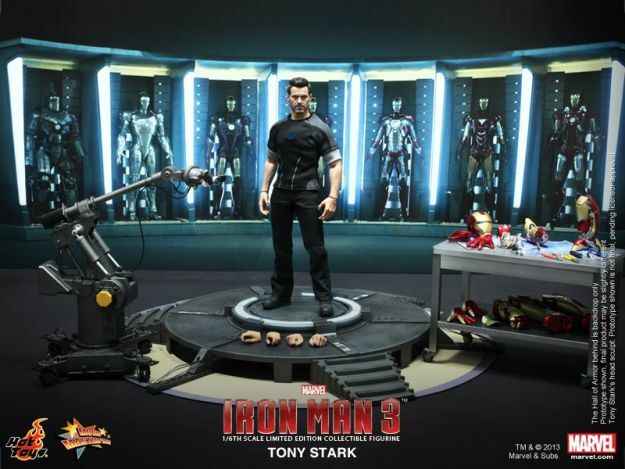 This marks the third Hot Toys article we’ve posted this week, but they keep announcing awesome products (just wait until Toy Fair in a few weeks too!). 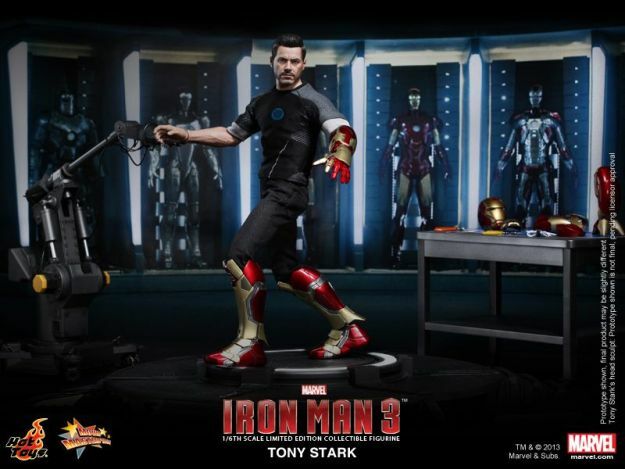 Teased for some time now, they’ve finally revealed their Limited Edition Tony Stark figure which is easily the most unique of the countless Iron Man figures they’ve produced. 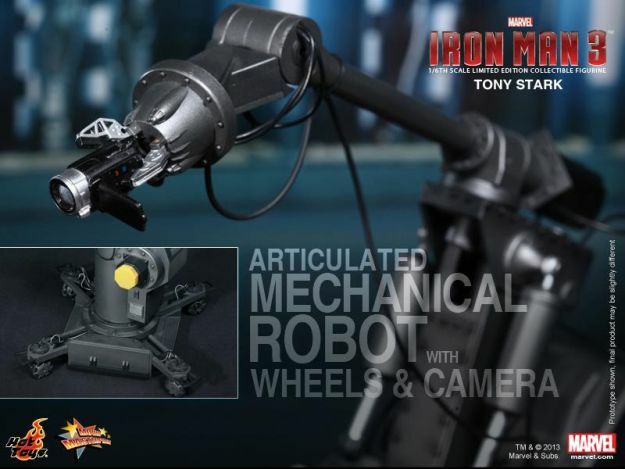 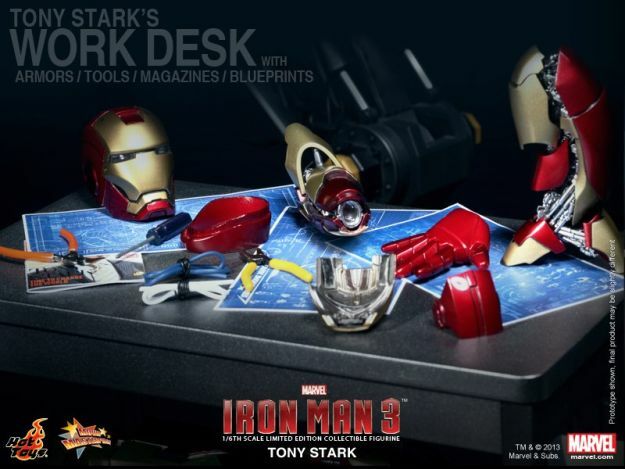 As seen in the upcoming Iron Man 3, the set features Tony’s workshop and some attachable sections of the Iron Man armor. 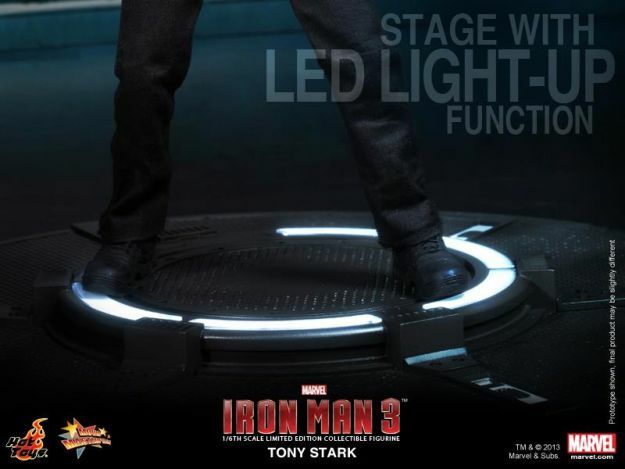 The movie-accurate Tony Stark collectible is specially crafted based on the image of Robert Downey Jr. as the genius billionaire Tony Stark in his workshop in the movie, highlighting the newly developed head sculpt, newly sculpted advanced body with light-up chest light and highly detailed accessories. 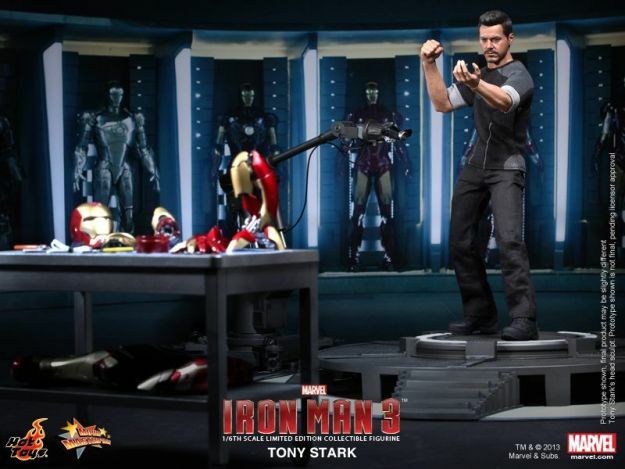 This figure and its accessories are the main centerpiece of their upcoming ‘Hall of Armor’ set, which you can see behind it in the photos below.